Bizzarro Italian Cafe in Wallingford is a weird place- but that's not a bad thing! Quite the contrary. They serve delicious Italian food with an artistic flair. SEATTLE — When you step into Bizzarro Italian Cafe, you step into a world of the bizarre. I mean, duh, it's in the name. Skeletons hang from the ceiling. At least a dozen different chandeliers twinkle in the warm light. A large model airplane is suspended just above the entrance. Oh, and no cell phones allowed- if they catch you texting at the table, be prepared to hand over five dollars! Bizzarro Italian Cafe is filled with...the bizarre! But it's not just about the decor at Bizzarro. 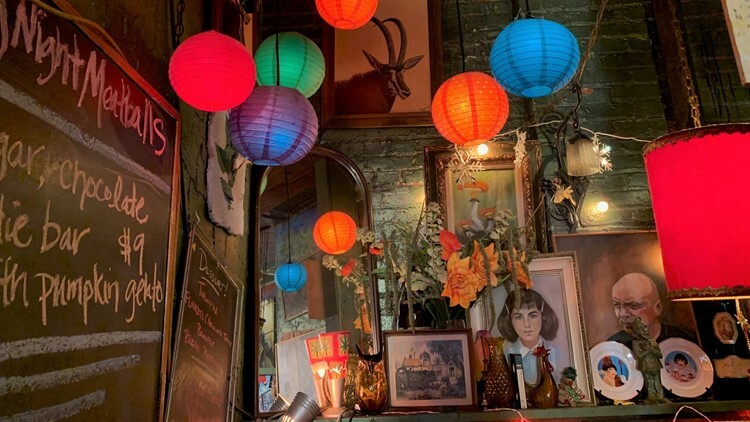 This longtime restaurant- opened in 1986 by artist David Nast- also has killer Italian food! They make their pasta in-house, and their marinara sauce is, according to the folks at Bizzarro, world famous. It's so world famous, that's what they call it- World Famous Marinara sauce! 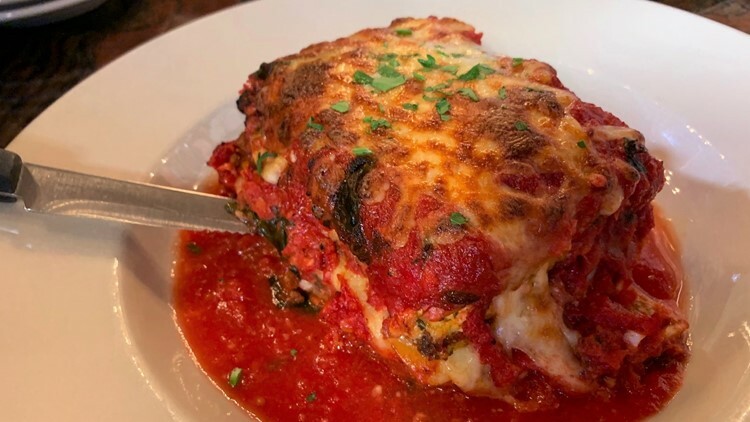 It goes on many of their dishes, but especially shines on their huge (and delicious) lasagna. Layers of handmade pasta, Bolognese, bechamel sauce and Bizzarro's "World Famous" marinara covered with mozzarella. They have a unique and varied menu that features much of their house-made pasta. The Forest Floor Frenzy is a dish that includes mushrooms and walnuts- and it's been on the menu since 1986, so you know it's a classic! 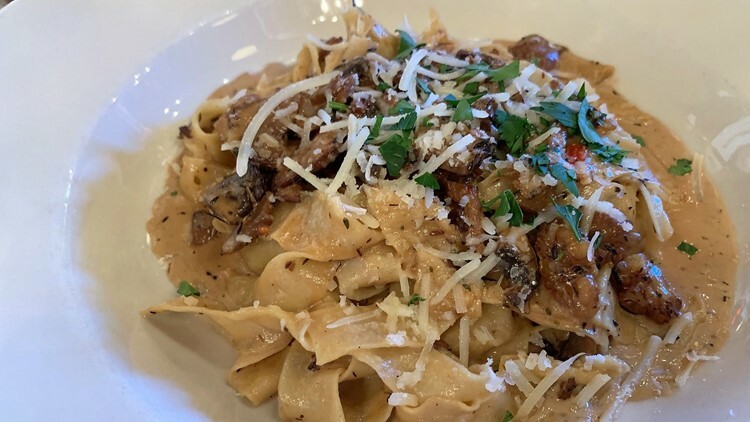 Wild mushrooms and walnuts mixed with a cream sherry sauce and house-made parpadelle ribbon pasta. 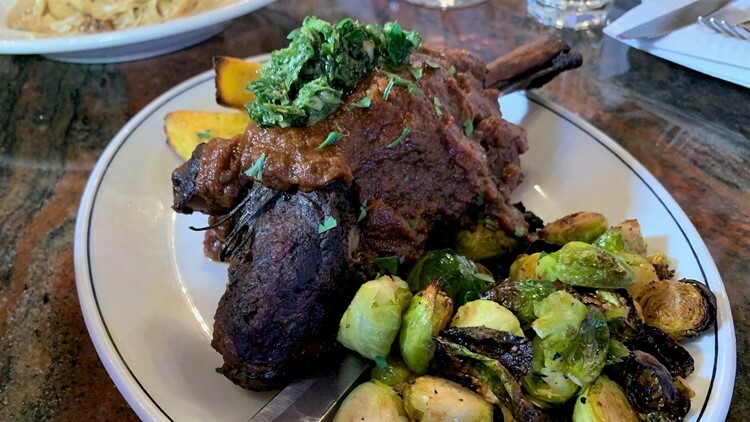 Lamb shank with a lamb and fig demi-glace topped with an arugula and horseradish gremolata. Served with a creamy polenta and braised brussels sprouts. Or perhaps clam linguini, made with local clams! 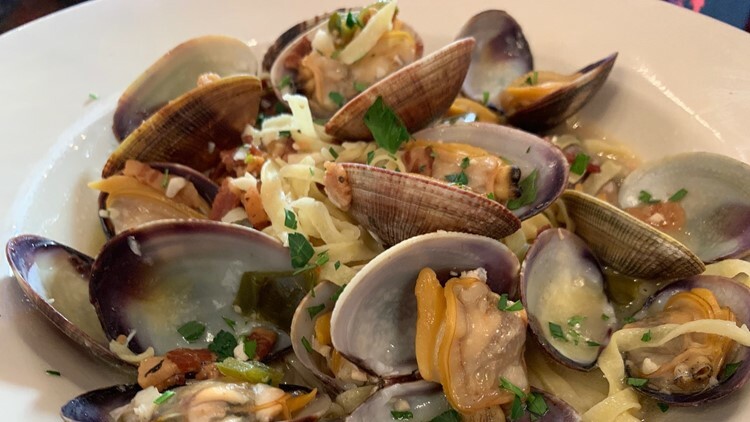 Manila clams tossed with house-made linguini in a white wine butter sauce with crispy house cured pancetta and roasted jalapeno. Whatever you order, Bizzarro Italian Cafe is a truly unique restaurant that's a delight to visit.